Allocation of tasks to the person in charge, further editors etc. Attendee groups take participants (groups), persons responsible circles, permissions, metadata (such as location, date, space, languages, etc. ), standard subjects, minute taker, JIRA issue types and much further along. Protocol circuits are as individual as your various projects and the resulting discussions / meetings. A meeting minute (protocol) holds at what time, in what order which process (tasks, information, decisions, etc.) was initiated by whom. 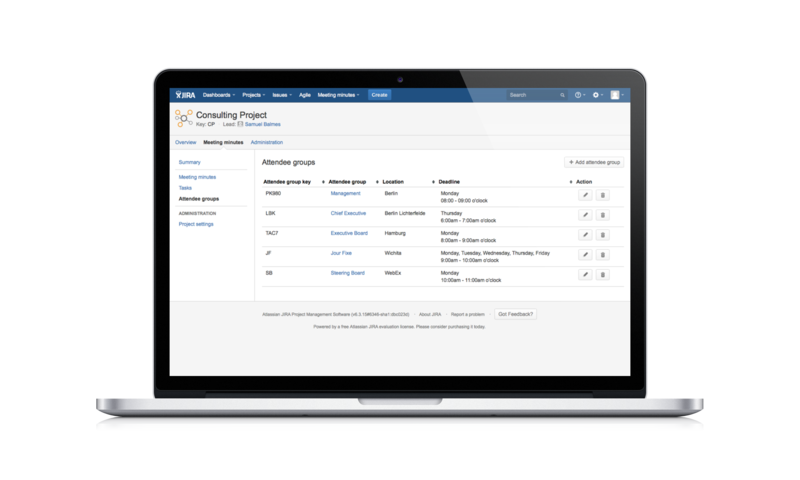 The logging is carried out in response to the selected attendee group in Atlassian JIRA. Meeting minutes can be enriched with media files. How can AgileMinutes support you in classic project management? 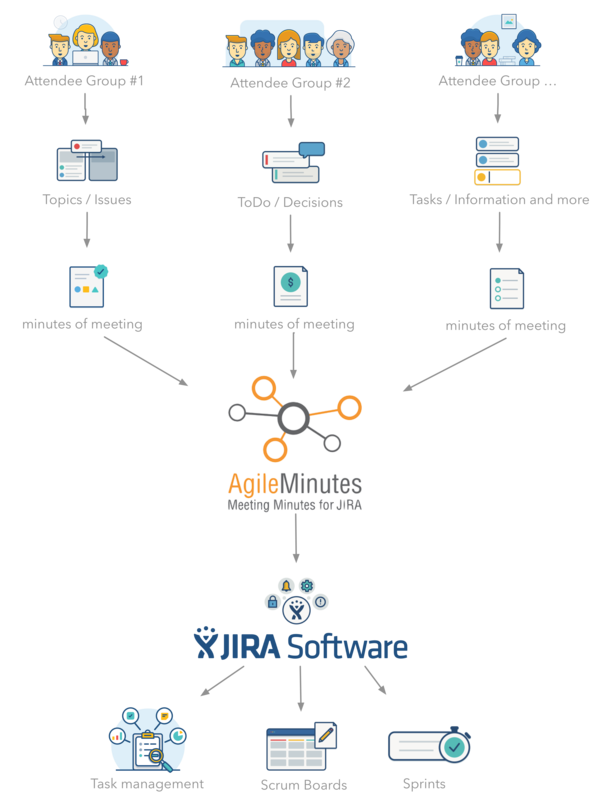 How does AgileMinutes support you in agile project management?